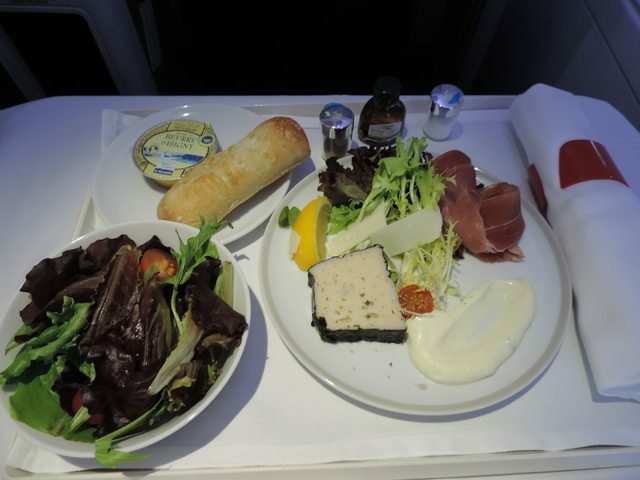 A friend of mine recently pinged me on helping her get to Venice and Croatia, but also to experience Air France’s A380 Business Class, using Alaska miles, and of course, I couldn’t resist. It was kinda tough to put this itinerary together and it involved checking Alaska’s website almost numerous times a day to find availability. However, at the end, we managed to find her something suitable, that was doable and she loved the experience. 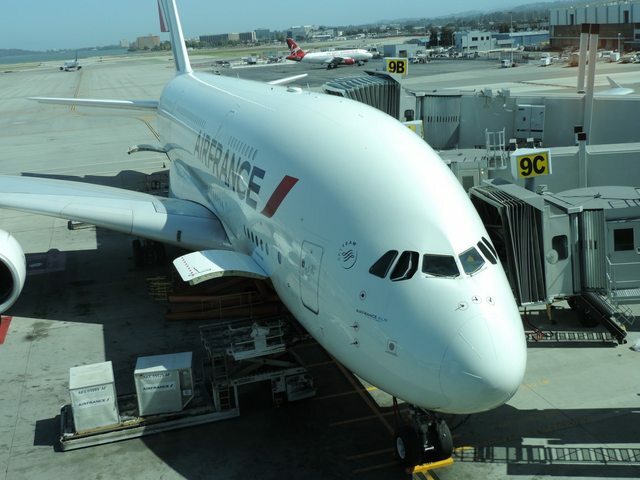 Her routing was as follows: SLC-SFO-CDG on Air France, flying in an A380. Total redeemed miles were 125,000 , and $120 in taxes. Not a bad way to get to Venice via Paris, and comfortably. She accumulated the miles from spending on her Alaska Airlines Signature Visa card, which is one of my favorite cards. Enjoy these snapshots of her first time on the A380!! 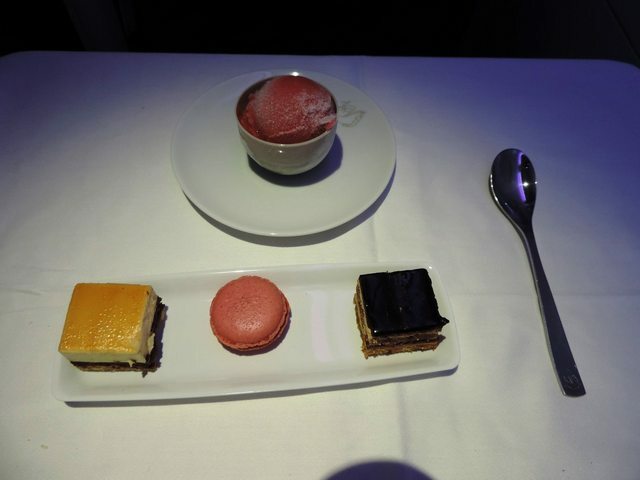 dessert trio of fine sorbets, opera cake, finishes off the meal. 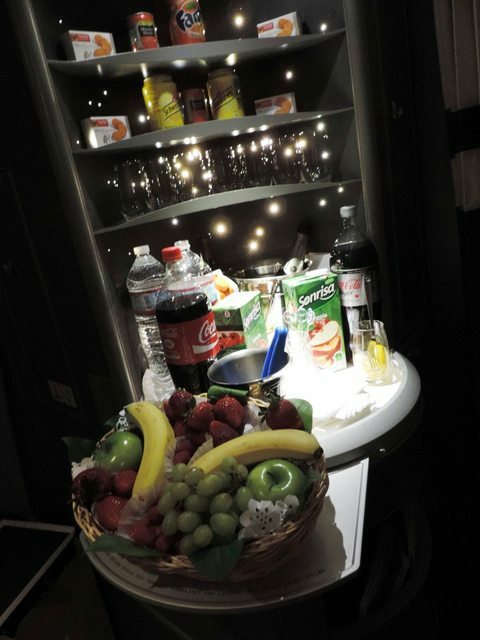 Snack assortment of fruit, cookies, and drink throughout the flight. Looks like Bank of America (finally) jumped on the changing category spend bonus bandwagon. They introduced a promo for their Alaska Airlines Signature Visa cardholders, which nets you 3X the miles spent on qualifying entertainment purchases. So the next time you go check out that new flick at the movies, (this includes major chains such as Regal, and AMC), play a round of golf at the country club, or just fancy up yourself, with a manicure or pedicure, you get 3X the miles when you use your card for purchases I will not be letting my wife know about this deal, as it could be dangerous to our bank account. However, its nice to know that you can finally use your Alaska Airlines Visa card, and not just store it in the drawer after getting the sign-up bonus. If you have the card, check your email for the offer. If you don’t have this card, you should try to get it, as Alaska Airlines Mileage Plan miles are some of the best out there. 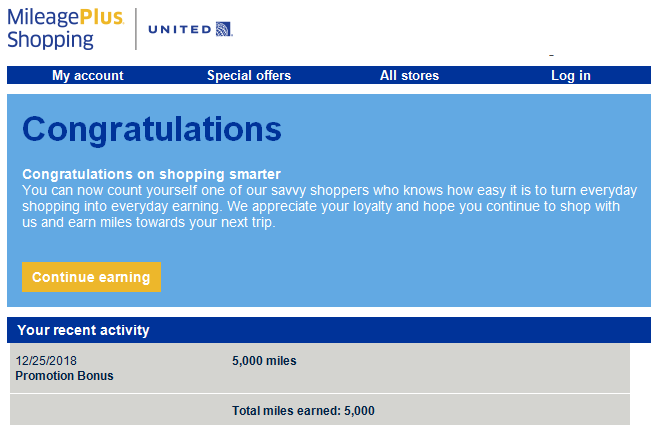 Upon approval, you get 25,000 miles and a $110 companion ticket you can use. They partner with Emirates, and you can redeem Alaska miles for flying their amazing first class!! I also have a link for the card offer that will give you a statement credit of $100. That will offset the $75 annual-fee for the card. As of today, the link is still good and the offer stands, so if you want it, get it soon! You snooze, you lose! Happy Travels. 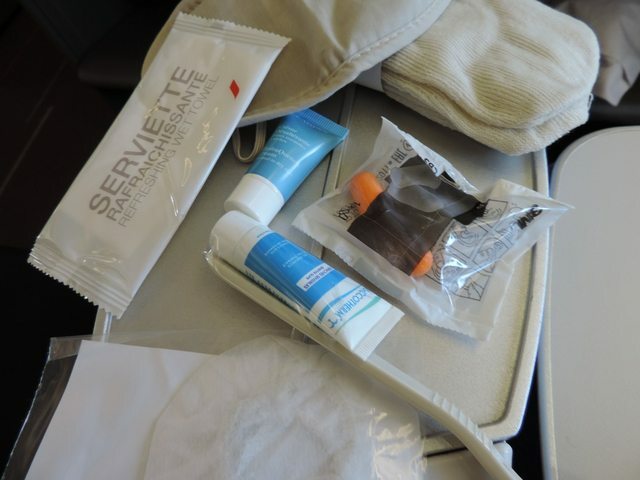 Why British Airways Avios Miles Are Awesome! One of the best uses of British Airways miles is to use them to fly Alaska Airlines to Southern California. My brother had accumulated a boatload (or should I say a plane-load HAR HAR) of them during the Chase British Airways 100,000 miles promotion, as well as my sister in law. One of the beauties of the Avios program is the ability to ‘merge’ family accounts. Therefore, the family account was 200,000!! This is a lot of miles and if you know how to use them, they can be very lucrative. I helped him find availability on Alaska using the American Airlines website, as British Airways does not show you Alaska flights (yet). Plug in your dates and check Redeem Miles, and whatever it shows at the 12,500 mile saver award, should be available to you using your British Airways miles on Alaska, as well. That will be your indicator flights are available on Alaska Airlines. After you find, the flights you want, you must call British Airways call centre in the U.K. at 1-800-247-9297 to book it. There will be a $25.00 charge for EACH reservation made, so if 3 people are flying, you will be charged $75. Once in awhile you will get a kind and gentle rep who will waive the fees, but don’t count on it. Their call center is full of obnoxious, and somewhat rude agents. They will then book the tickets, and give you a British Airways confirmation code…..which can be useless since you are flying Alaska Airlines, so ask them for the Alaska Airlines confirmation code. I was able to book 3 tickets PDX- BUR for 45,000 miles + $90 in taxes/fees. He charged the taxes/fees onto his Barclays Arrivals World Mastercard, so he could redeem his points to pay off the $90.00. Zero out of pocket! Not bad… If you think about it, this is actually a steal! Usually it costs 25,000 miles PER ticket. You can also use the Avios points to book your hotel and car as well, though I got other plans for those. I highly recommend anyone getting British Airways Avios points, because even with them devalued, they can still be awesome for domestic and short haul trips. Also, there are so many ways to get them, that’s its almost impossible NOT to get any. 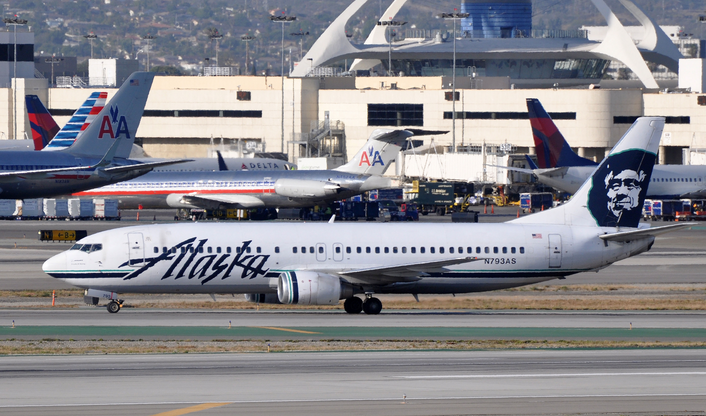 Lately, there seems to be a lot of competition brewing for slots between Alaska Airlines and Delta. The recent uppercut jab to Delta, is Alaska Airlines offering non-stop service between Portland and Salt Lake City. Currently, the only non-stop to SLC is on Delta, but that has changed now with this addition. This is great news for award ticket redemptions, as it allows for greater flexibility in getting to a Sky Team hub like SLC. As you can see from the chart below, this service will begin in June, so looks like the ski season to Utah will have to be serviced by Delta for now. This partnership is a rather strange one, as each of them are competing with each other pretty fiercely these days. Just recently, Alaska Airlines started non-stop service between Portland and Atlanta, which is also a major Delta hub. It’s going to be interesting to see what comes out of this, if anything. Remember, Alaska Airlines is NOT part of any major airline alliance, but has partnerships with Delta, which is a Sky Team member, and American Airlines, which is part of One World. 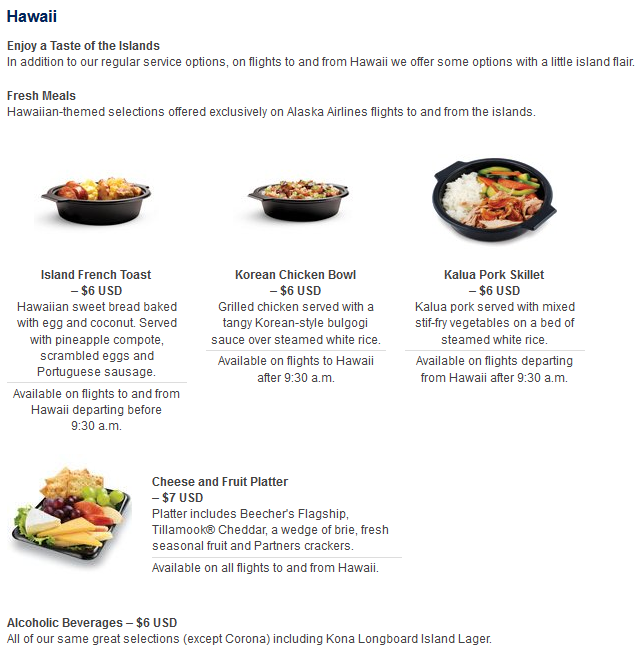 For this reason, Alaska Airlines is my favorite airline, because the reward redemptions can be very lucrative. Alaska has not made any major devaluations (yet) to their award chart, so you can get to a lot of destinations for a decent amount of miles. Currently, there is a sale on their website for travel starting at $99 each way. 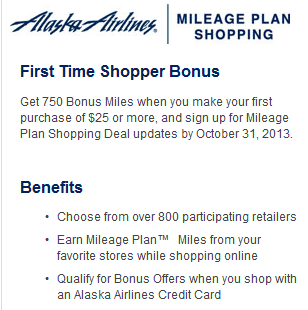 Alaska Airlines has re-introduced their online shopping portal – Mileage Plan Shopping. 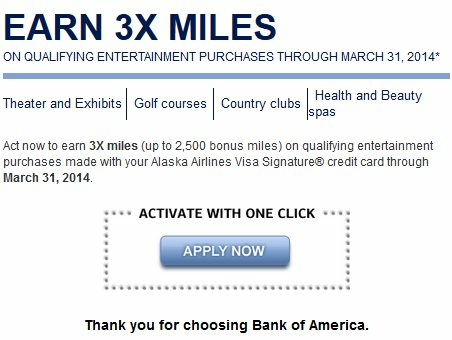 This is a great way to rack up Alaska Airlines miles, for online shopping that you would normally do. Just log into the portal, and start shopping. Most of the famous retailers are available at the portal, such as Home Depot, Nordstrom’s, Groupon, and much much more… This is a great way to double dip on mileage, and if you have the Alaska Airlines VISA card, it’s even better, because you get more miles. Currently they are running a ‘grand opening’ promo, in which you get 250 miles for signing up for their emails, and then an additional 500 for your first purchase from the mall, for a whopping 750 miles!! I know..I know..that’s not a lot, but consider this –those free miles, could also save your existing miles, if they are about to expire. Also, the holiday season will creep on us soon, so this is a great way to do your gift shopping, and score something for yourself! Alaska Airlines is one of the best airlines out there, but I must admit, their in-flight catering options aren’t all that great. Apparently, they are attempting to show some improvement in this arena by announcing the introduction of a new menu. 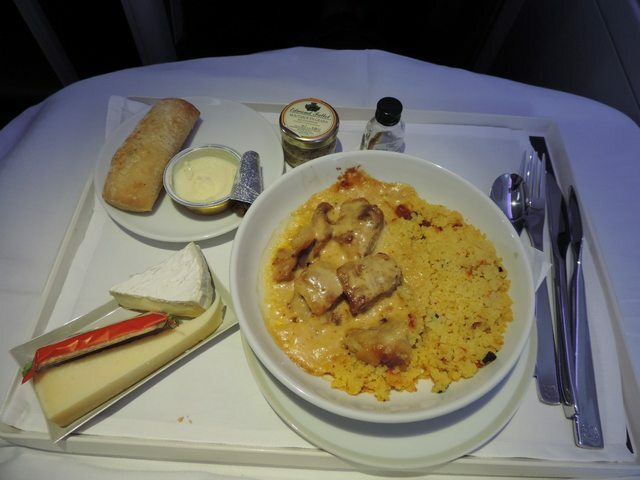 Starting September 4th, every flight over 2 1/2 hours long will offer a hot meal for purchase in coach, and may be purchased with any credit card. 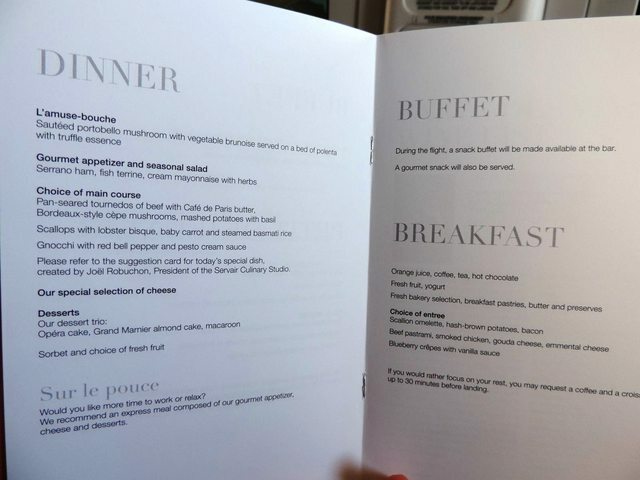 Most meals look to be about $6.00, which isn’t too bad, considering your options for food are limited at 30,000 feet up. 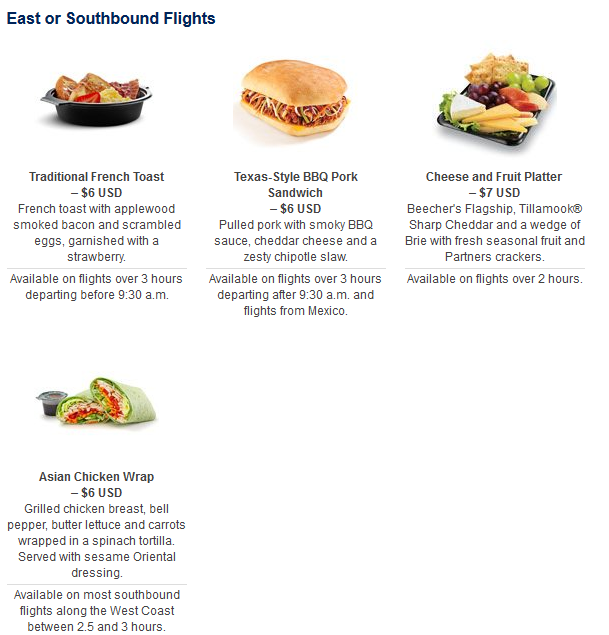 They are also allowing you to pre-order your meal option on select flights. Take a look below and see if it appeals to your senses. 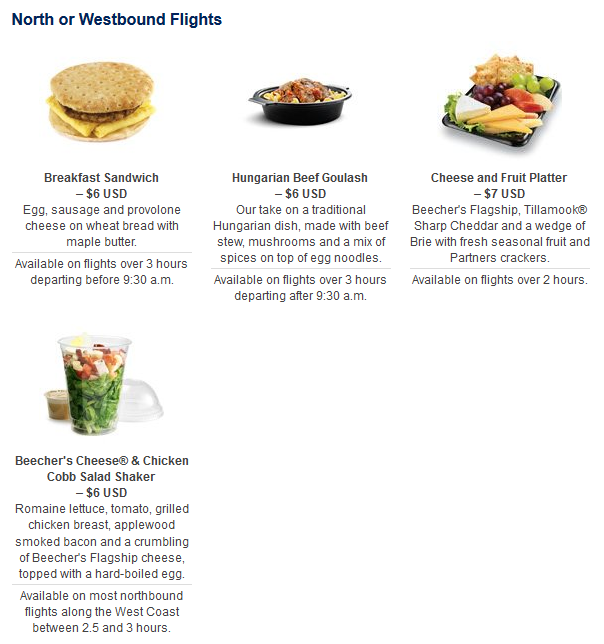 It may be worth ordering something, especially for an early morning Alaska flight, which you left the house at without breakfast. 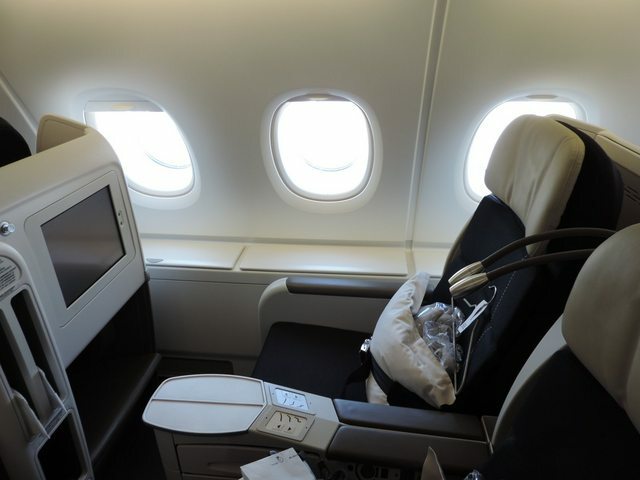 There are changes for First Class passengers, as well. 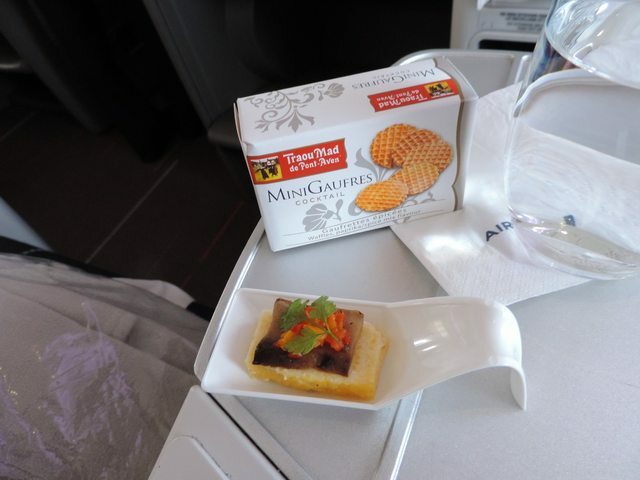 A three-course meal consisting of wild Alaskan salmon on transcontinental flights sure sounds good! American Express Starwood Preferred Guest 30,000 Points is Back!! For a limited time, American Express is offering their Starwood Preferred Guest credit card, with a sign up bonus of up to 30,000 Starwood points after spending $5,000 within 6 months. You initially get 10,000 points after your first purchase, and the remaining 20,000 after you spend $5,000 within 6 months. This is a piece of cake, and I urge you to get this card, if you do not have it, or its time for you to apply for some cards. The Starwood Preferred Guest program is awesome, because you can transfer these points to countless airline programs. Just look at the chart below. You also get a bonus of 5,000 miles, if you are transferring 20,000 miles, so that means you will get 10,000 additional miles if you transfer 40,000, and so on. Of course, then there is also the Starwood Preferred Guest, which you can leave the miles,and redeem them for stays at most SPG Properties worldwide. I used some when I was in Hong Kong, and stayed at the Sheraton Hong Kong Towers, overlooking the Hong Kong skyline. Well worth it!! On top of the bonus points, they are also waving the annual fee for the first year. There is also a business version of the card, and yes, you can apply for both and be approved for both, meaning you could possibly get 60,000 points total!! Just be aware both have a $5,000 spend requirement, and plan accordingly so you know if you can meet the spend or not.